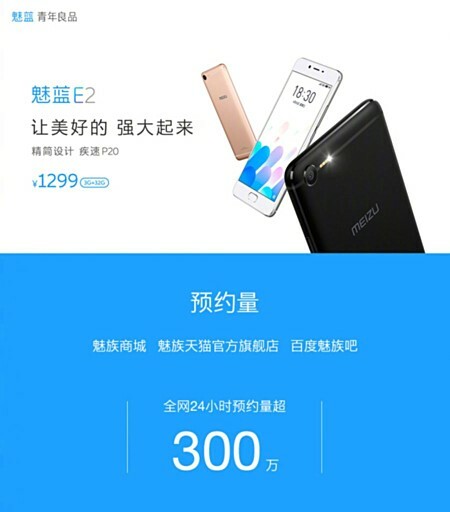 The China-exclusive Meizu E2 was officially announced a couple of days ago, and it's currently up for registrations in the Asian country. It has received over 3 million registrations so far. It's worth mentioning that the 3 million figure just represents the number of registrations for the sale, and it does not mean that this many people actually pre-ordered the phone. The handset - which starts at around $190 - will be up for grabs tomorrow in a flash sale. It's unclear how many units will be available, if you are interested. Radio,remote contro,CDLA eare phone....etc my wanted.